The Sun's activity is widely believed to be driven through small-scale magnetic reconnection events that heat plasma and drive plasma flows. The recently-launched Interface Region Imaging Spectrograph (IRIS) spacecraft gives high spatial resolution access to the Sun's chromosphere and transition region and has revealed a particular class of highly-energetic events termed ultraviolet bursts (UVBs) with a several-order of magnitude increase in radiation and 100's of km/s plasma flows, occurring on spatial scales of ~500 km (Peter et al. 2014, Science). The new observations bring the team together to work on how the events are driven by the magnetic field and how the released energy is distributed through the solar atmosphere. Group photo taken on 2017 Mar 8. Group photo taken on 2016 Jan 28. 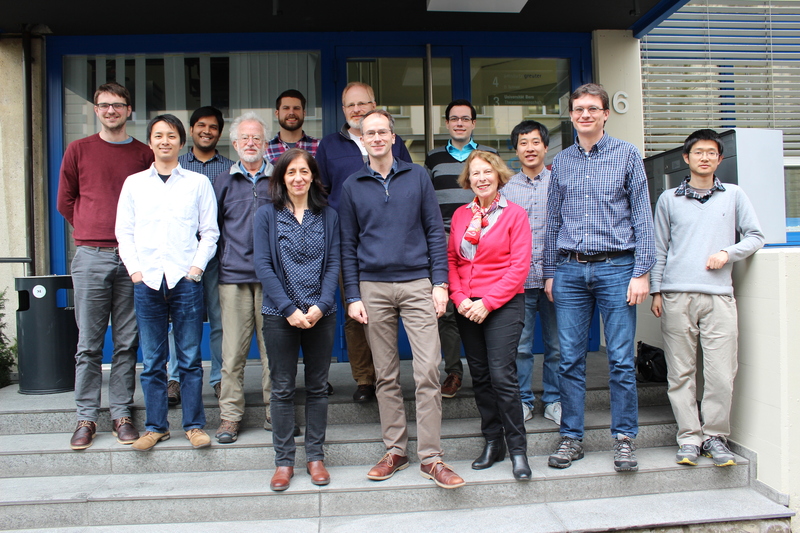 The second meeting occurred in ISSI-Bern from 6 to 10 of March 2017.